confirmed that GT-i5503 or galaxy 5 can be upgraded to froyo (android 2.2) i went to an official samsung service center then they upgrade my phone to froyo just show them your proof of purchase that your phone is under warranty! they will upgrade it for free! The attachments in the email cannot be downloaded to SD card, there is only a 'preview' option. Is this a limitaion with document viewer? Will a document editor resolve this issue? kiran, 05 Jan 2011is galaxy 5 have capasitive touchscreen? anybody pls inform me now. 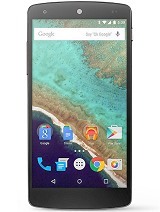 Im buying this mobile today.yes,it is capacitive,and a good one. is this mobile phone good for internet chating? how is typing quality? plz reply me. and is this phone safe if we use it whole day while charging..? will it blast? i am a chatter...plz tell me a good mobile. is this phone good for internet chating? how is typing quality? is galaxy 5 have capasitive touchscreen? anybody pls inform me now. Im buying this mobile today. Sean, 04 Jan 2011Dos diz cumes wid pre instald skype or we hv 2 downld it.ya installed. Dos diz cumes wid pre instald skype or we hv 2 downld it.